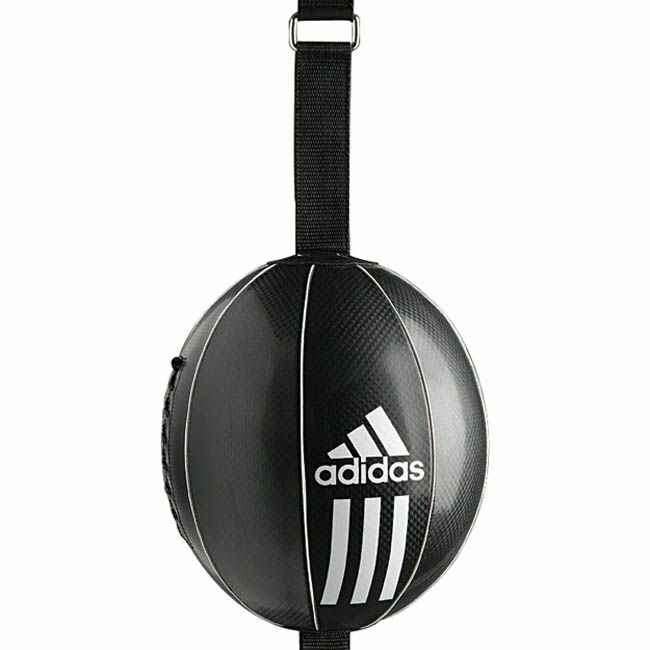 The Adidas double End Box Ball has been created to take all the punishment you can dish out with a tough, high quality construction featuring black Maya 1. 2mm 100% PU artificial leather with woven backing. Main features include changeable latex shell butyl valve bladder, lace closing and rubber cord with S-hooks. for submitting product review about Adidas Boxing Double End Box Ball - Maya.